As a real estate lawyer whose practice focuses on representing developers of affordable housing, I care deeply about ensuring that children of residents of such housing have access to higher education. Working in this field, I have seen firsthand how cost-burdened families are affected in their daily lives. Many of the families living in low-income housing cannot afford to send their children to college and receive the education they need to ensure future success. This is why I decided to establish Give Kids A Chance at The Miami Foundation in 2004. The idea was to provide college scholarships for high school seniors by raising donations from business associates in the affordable housing industry, such as developers, lenders, professionals and investors. During its first year, Give Kids A Chance targeted only high school seniors living in affordable housing properties. 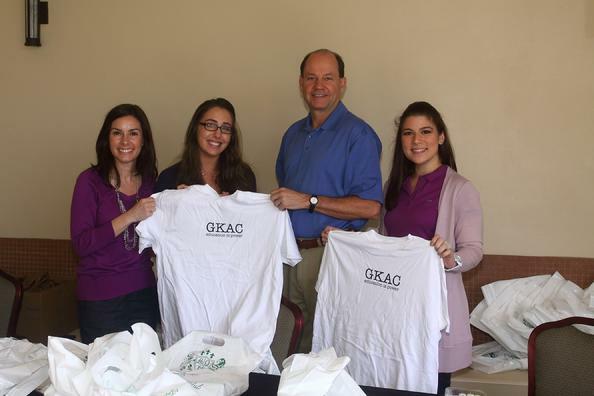 The program has since broadened its reach to students from low-income households statewide. Pictured above: Brian McDonough, Esq., courtesy of Give Kids A Chance. Give Kids A Chance supports students like Simone Buchanan, who graduated from Florida State University, becoming the first in her family to earn a bachelor’s degree. Jenny Tong was her high school’s valedictorian and had the highest number of community service hours among her class of 758 seniors; she now attends the University of Florida. The scholarship also helped Joanne Jean cover the costs of books and rent while studying at UF. 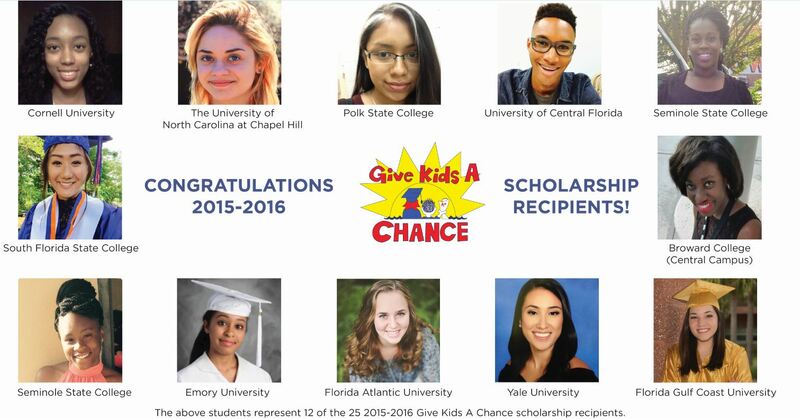 Pictured above: Give Kids a Chance's 2015-2016 scholarship recipients. Over the past 12 years, Give Kids A Chance has awarded 335 deserving students like them with $1,000 renewable scholarships. 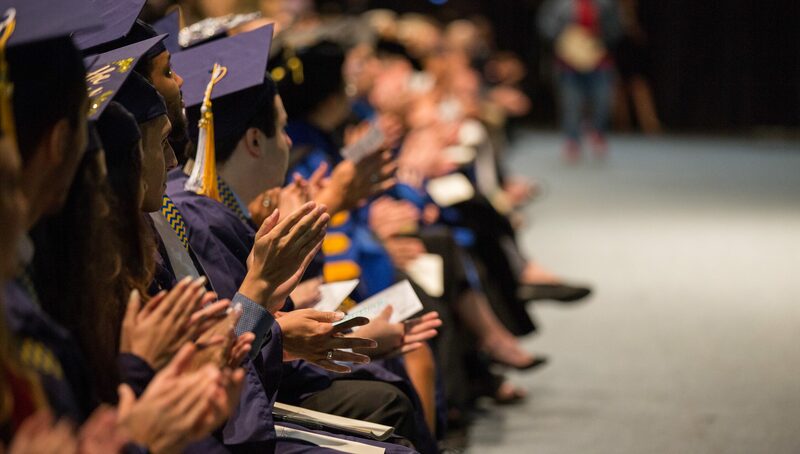 In 2017, we expect to award about another 25 scholarships. Nearly all recipients have come from families making less than $20,000 a year. We have also received an overwhelming response from the development community. Our annual golf tournament in Miami Beach has raised more than $1 million and awarded almost 400 scholarships to date. Whether people choose to give because of friendship, business or other charitable reasons, we are grateful for their continued support and humbled by their considerable generosity each year. Give Kids A Chance’s motto is “Education is Power.” Our goal is to ensure that young people who aspire to further their education have the opportunity to attain that power. To the students who apply for our scholarships, your perseverance is remarkable. We wish you all great success as you pursue your education and realize your dreams. Applications for 2017 Give Kids A Chance scholarships are due May 15th. To apply, click here. Brian McDonough is a real estate shareholder at Stearns Weaver Miller. I am honored to call Brian a lifetime friend! He and his team do such wonderful work for those who need it the most. Brian and his team are changing lives and making a difference. Your golf event is already in my schedule for next year. Brian’s commitment to “Give Kids A Chance” is only outweighed by the lives he has touched! Keep up the wonderful work my brother!